Great rooms. Simple no breakfast during the time we visited. 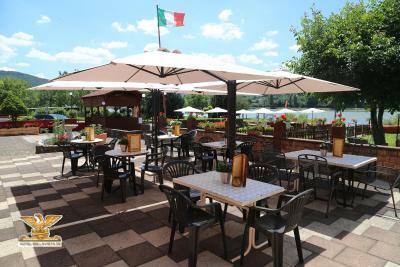 Location: right by the Rhine River and very close to famouse Marksburg. The location was excellent. My family stayed in two rooms, one facing the Marksburg castle and the other directly overlooking the Rhein. The staff was friendly and the rooms were clean and cute! Like the name: a beautiful view. Convenient to local attractions. Excellent breakfast. 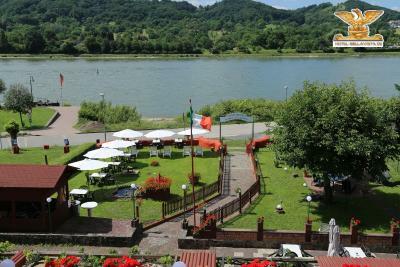 The location right on the Rhine River was rather pleasant. the garden area in front of the hotel was a nice touch. The manager and his wife were very pleasant and helpful with our questions on renting and using bikes in the area. Right on the bicycle path. Excellent coffee selection at breakfast. Safe parking for motorcycles. Beautiful view from the balcony. 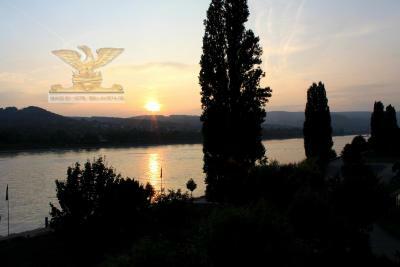 The property is on the bank of the Rhine with stunning views, worth paying the extra for a river view, the gentleman kindly let us park our motorcycle on the terrace st the back, because the ground was too soft in the car park. 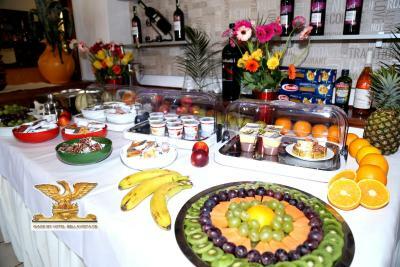 The rooms were clean and breakfast good. 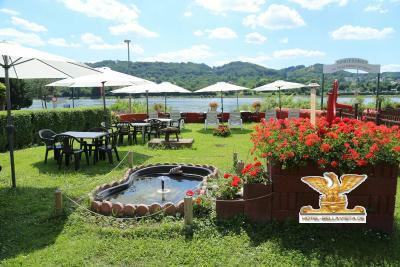 This hotel in Braubach enjoys an beautiful location on the Rhine, just a short distance from the jetties, historic center and Rheinsteig hiking trail. The Rheinhotel Bellavista invites you to relax in its warm Mediterranean ambiance and discover the romantic Middle Rhine region. The comfortable rooms and suites feature sound-proofed windows and Wi-Fi internet access (for a fee). 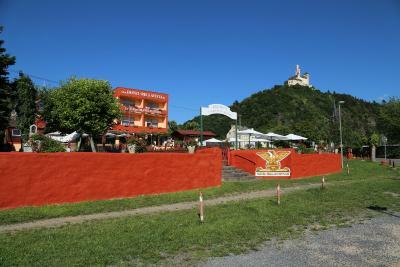 Explore the bicycle route at your doorstep, and admire the area's countless castles and vineyards. The hotel's sunbathing area is perfect for lazy days. 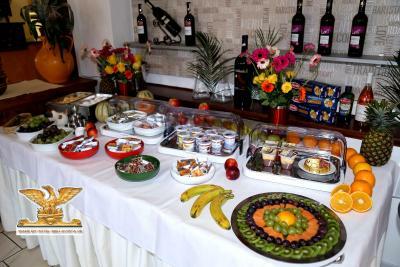 The in-house bistro serves delicious snacks, including cake, ice cream and local and international drinks. 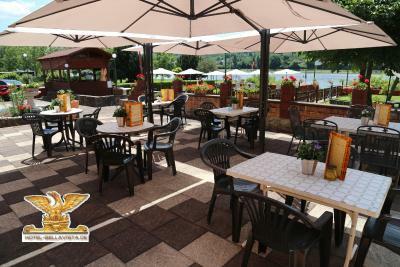 In warm weather, guests can also enjoy the beer garden. The Rheinhotel Bellavista is located at the foot of the beautiful Marksburg castle which a renowned UNESCO World Heritage Site. Guests can park their cars and motorbikes, and safely store their bicycles for free here at the hotel. 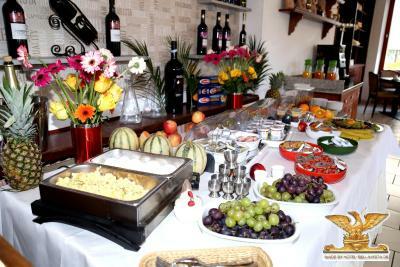 When would you like to stay at Rheinhotel Bellavista? Homelike room with a flat-screen TV, work desk and private bathroom with complimentary toiletries. 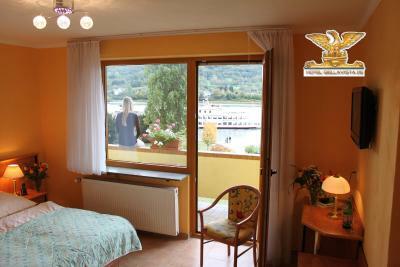 Includes a balcony or patio, and views of the Rhine River. 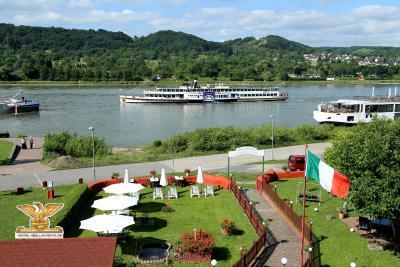 Includes views of the Rhine River. 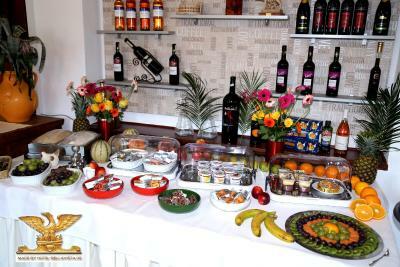 House Rules Rheinhotel Bellavista takes special requests – add in the next step! Debit card Rheinhotel Bellavista accepts these cards and reserves the right to temporarily hold an amount prior to arrival. Rheinhotel Bellavista accepts these cards and reserves the right to temporarily hold an amount prior to arrival. Please note that the restaurant is open daily until 9 pm from 1. April until 31. October. During the closure (1. November to 31. 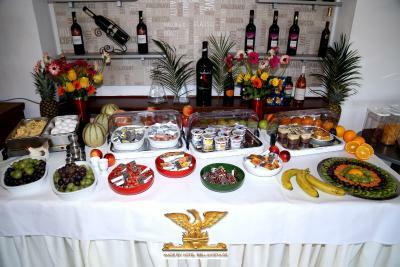 March) breakfast will not be available. We couldnt get a coffee in the morning since the restaurant wasnt open. Wifi signal so weak or not working at all. Need it fixed or imoroved. Unfortunately there is a very busy freight rail route 50 m from the hotel. Trains run all night every 10-15 mins and the noise is very intrusive. 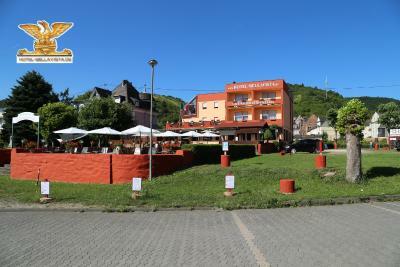 This is a problem for all of the hotels in this area on the Rhine, as we have stayed at others too. 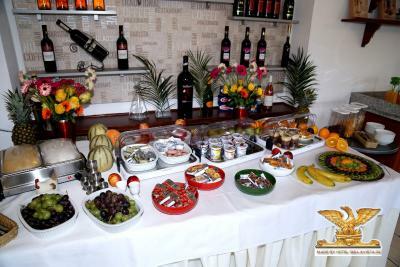 Very nice staff, and a good restaurant. Right next to the Rhine on the riverbank. 5 mins walk from the old town, and river cruise jetty and nice park area on the doorstep too. Unofrtunately childseat was not available..
Good location, good food and nice people. The position of this hotel is fantastic. We did not eat here, so I cannot comment on that but everything else was up to expectations.